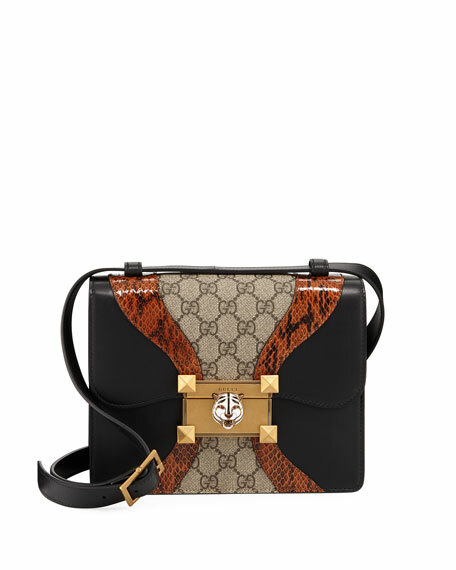 Gucci "Osiride" shoulder bag in GG Supreme canvas, a material with low environmental impact. Adjustable shoulder strap with 17.7" / 45cm drop. 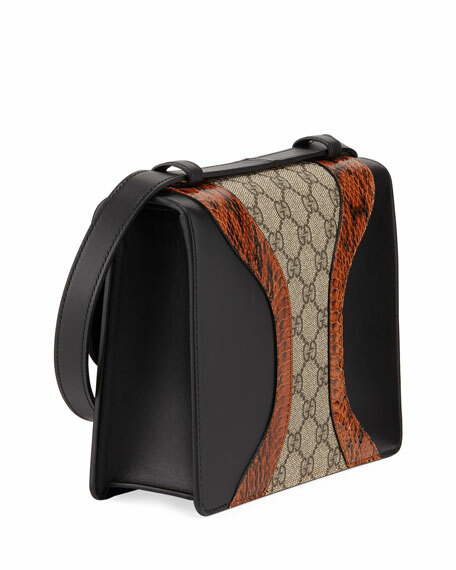 Two-tone leather and snakeskin edges. Enameled feline head metal closure. 6.6"H x 8.6"W x 2.7"D.
For in-store inquiries, use sku #2395956. 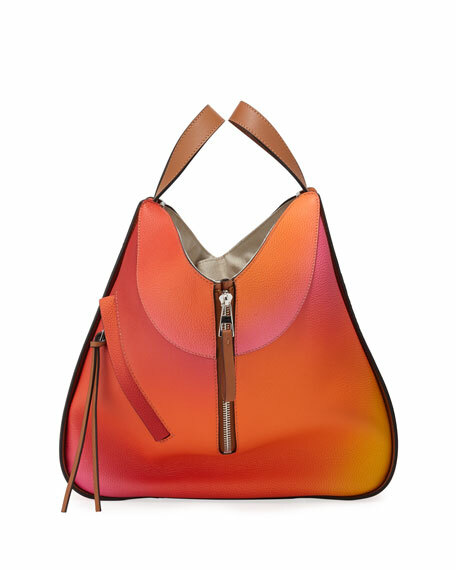 Chloe mixed glossy patent and smooth leather shoulder bag. Removable top handle. Chain and leather shoulder strap. Layered flap with large "C" hardware; magnetic closure. Exterior, slip pocket at back. 6.3"H x 9.1"W x 2.4'D. Made in Italy. 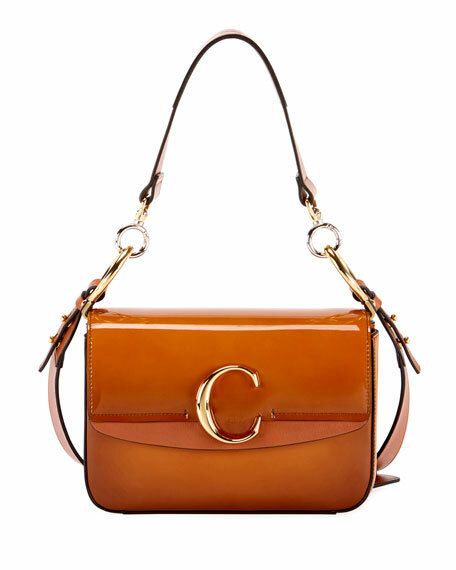 Loewe mini shoulder bag in soft calf leather. Adjustable shoulder strap. Flap top loops through knotted front straps. Embossed logo at top right corner. Hanging tassel at side. Interior features pockets. 9.8"H x 12.6"W. Made in Spain.